Conditions such as back pain treated without the pain of surgery? Cutting won’t save you or your disc in the end. You won’t be happy. Do your homework and get the truth: Spine surgery does NOT IMPROVE the quality of your spine or discs any more than cutting leaves off a dying plant to try and make it healthy. (If you have a bulging, herniated, or degenerative disc…then your disc is DYING). Dr. Campbell has a NEW VISION for helping people heal and repair their disc as nature intended. We tap into these SELF-REPAIRING MECHANISMS because WE HONOR the DISCS PHYSIOLOGY and restore what’s missing with our treatment program. Think about this…success leaves clues…so use our time tested, effective and safe strategy to create the future that will ultimately make you happy. Low back pain (LBP) affects at least 80% of us some time in our lives, perhaps 20-30% of us at any given time. LBP is usually recurrent, and subsequent episodes tend to increase in severity. It is common in individuals who lead sedentary lives and in those who engage in manual labor. Lower Back Pain can occur at any age but is most prevalent during the third to sixth decades of life. A team of Duke Medical Center researchers has found that patients suffering from back pain consume more than $90 billion annually in health-care expenses, with approximately $26 billion of that amount directly attributable to treating the back pain. Tremendous costs are associated with LBP, including lost productivity and income from work, the expense of medical, rehabilitation, and surgical interventions, and the costs of disabling pain and limited daily function. Back pain is second only to upper respiratory conditions s the stated cause of work loss. The costs for treatment and compensation for LBP in industry may be greater than the total amount spent on all other industrial injuries combined. However, most of the costs, perhaps 80%, are incurred by about 20% of the LBP patients who then become disabled. A common misconception often cited is that 90% of back pain will go away on its own without treatment. However, a recent review published in the European Spine Journal after 12 months was 62% (range, 42-75%), dispelling the popular notion that up to 90% of low back pain episodes resolve spontaneously within 1 month. There is also a large number of Americans who, after trying many standard treatments, are still left suffering with serious back pain. And this is usually because of an underlying disc condition. 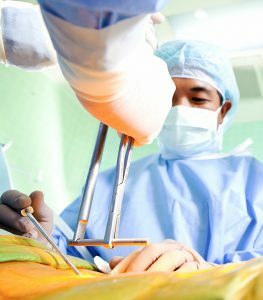 If you, your friends, or your family members have been told you have to learn to live with the pain, or if you have tried exercises, drugs, physical therapy, chiropractic and/or epidural shots, and you are still suffering – and are now being told you need surgery, then our treatment method may be exactly what you and your disc need. Schedule your evaluation today. For more information on a specific condition, click one of the items in the menu list below.